The third LP from Brooklyn psych-RnB outfit Yeasayer was not as universally beloved as its past efforts. Admittedly, even we found that it took a few listens to come around to this murkier left turn. But Fragrant World does grow on you, and while there is no "O.N.E." to satiate the pop drive that many of the moments on Odd Blood offered, the skank-trip that is "Henrietta" has been ever-present since it's early release and gems like "Devil and the Deed" and album opener "Fingers Never Bleed" sneak up on you—and if they haven't yet, give them a chance to. 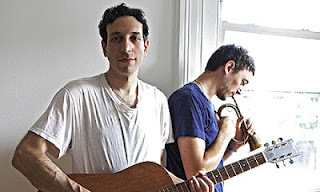 As diverse as 2012's musical offerings were, few truly embodied that perfect mix of indie-rock singing and songwriting and the propulsive groove of a dance beat quite like Brooklyn's Tanlines. Catchy and hard to dismiss, Jesse Cohen and Eric Emm's Mixed Emotions occupies a similar territory to that of Penguin Prison or even RAC as it moves to original material, but Tanlines' lightly distorted guitars, synth lines, drum machine rhythms and pop vocals were the ones we couldn't escape since Mixed Emotions hit back in March. 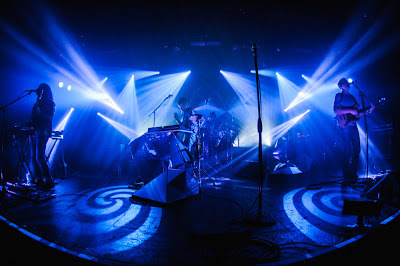 Previewing their live show, we described them as 'Vampire Weekend, TV on the Radio and Hot Chip jamming together in the tropics" and that still seems the best way to sum them up. Already awarded the top slot in the iTunes Album of the Year list, Grizzly Bear is well on its way to snagging upper-echelon ranking on just about everyone's end of the year lists. Far from being the work of the Hype Machine, this Brooklyn five-piece's latest, Shields, is just that good. Not deviating from the core of what these guys do best, this record features more of the band's signature quiet storms—hurricanes of lush harmonies and rolling drums, as we called it after reviewing its last live show in Chicago. 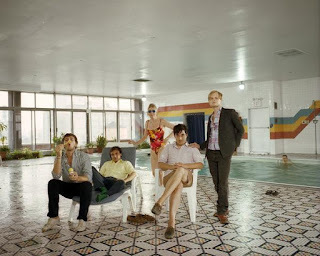 It was tough to imagine Ed Droste and company topping the studied and cinematic art rock on display with 2009's Veckatimest, but they managed to refine the Grizzly Bear sound even further here. Another band that had big shoes to fill with a new record, Baltimore dreamers Beach House gained legions of fans with 2010's Teen Dream, and succeeded in bestowing 2012 (and us) with an even more accomplished vision of their sound. So comfortable are Victoria Legrand and Alex Scally now, that on a song like set closer "Irene" they can stretch its groove into a seemingly endless loop that in lesser hands would cross over into monotony. 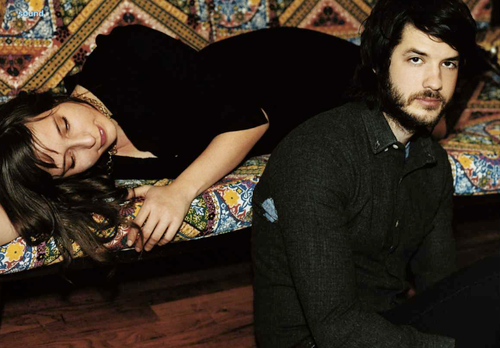 Not so with Beach House, here it's exactly the strange paradise that Legrand is singing of. Beach House - Irene from dudikaz on Vimeo. An accomplished and sprawling trip through a shimmering future of music that's somehow simultaneously stuck in the '80s, the triumphant return of Johnny Jewel and Ruth Radelet is officially our top indie release of this year. Beyond the Kill For Love itself, which is an epic listen of brooding dance beats, silky crooning and an introspective ambiance, Chromatics managed to put its stamp on the Drive soundtrack and, on a personal note for Dialogue Inc, on January's Tomorrow Never Knows festival, where principal contributor Joshua P. Ferguson was lucky enough to spin an opening DJ set ahead of their live performance there. In many ways—from their music to their album artwork to the aesthetic philosophy Jewel and Co. exudes across DJ mixes, photo shoots and any of their various other artistic outlets—Chromatics, and it's sister acts on the Italians Do It Better label, is in perfect harmony with the look, sound and feel prized by Dialogue Inc. Kill For Love, and all that accompanied it this year, is no exception.